Many thanks to Tracy Fenton and Orion for the tour invite and ARC. Here is my review of HIM by Clare Emspon for day two of the blog tour. Did I read it right? Is this really a debut novel? Wow – I am amazed!!! ‘HIM’ is twisty, it’s detailed, it’s atmospheric, it’s unique. It really is one of a kind and I cannot believe it is a debut! Catherine has a lot of regrets, constantly thinking about the ‘one who got away’ despite being married to the ‘one who decided to stay’. Sam may have given her two children, and he may have been her rock when her mother passed away, yet there’s just something about him and the marriage which isn’t ticking Catherine’s boxes. He’s not Lucian, the one who got away. The storyline switches between the past and the present, with the main narrative coming from Catherine now, in hospital, unable to speak due to trauma so, because of that, she tells the story of what happened to the readers as she cannot voice the truth out loud. I thought that Clare Empson nailed the intensity of the storyline pretty much straight away. What happened to make Catherine stop speaking? Why is Sam so angry with her? What is Catherine hiding? As the storyline progressed, the answers to those questions became clear. Well, all but one because the storyline itself leads the build up to the conclusion by dropping hints. I worked out the truth before I reached the end of the book, and I will admit that I thought the ending was way too abrupt given the delicacy of each situation in the book. It’s not that I wasn’t ready for the book to conclude, it was that one moment I was gripped by a shocking turn of events, and then the next everything halted and the book ended. For me personally, it just didn’t seem as strong as the rest of the book. However, I thought that ‘HIM’ was such a gripping and psychologically twisted novel which completely messed with my head. Clare Emspon is one to watch and if her debut novel is anything to go by, I cannot WAIT to read future books. When an young man is found stabbed to death in a side street in Newcastle city centre in the run up to Christmas, it looks like a botched robbery to DCI David Stone. But when DS Frankie Oliver arrives at the crime scene, she gets more than she bargained for. As detectives battle to solve the case, they uncover a link to a missing woman that turns the investigation on its head. The exposé has put more than Adams’ life in danger. And it’s not over yet. ‘The Scandal’ fits the definition of the word ‘fabulous’ to a T! That said, given the theme of the book it’s probably surprising that it does – but I loved it! Mari Hannah’s new book is the third book in the ‘Stone and Oliver’ series. Personally, I think that they work perfectly well as standalone, but if you’re wanting to know more about the relationship and history between the two main characters, you might find that you would benefit from reading the books in order – entirely your choice. ‘The Scandal’ does what it says on the tin – it really is a scandal. In fact, I would go as far to say that the entire storyline is like one of those double-sided puzzles; complex, uncertain and insanely addictive. I thought it was brilliant how the author slowly reels in her readers with a hint of what’s to come, and then takes it away again only to make the reader ‘work’ for it. To put it simply, the storyline is slow and steady, but due to the complexity of ‘the scandal’ and the intricate details which the main characters unearth, it needs to be like that otherwise I don’t think it would pack the same amount of punch that it did. I will fully admit that I spent a bit of time with my eyebrow raised, unsure of where the storyline was going. It’s not that I was confused, it’s more that the puzzle pieces I was trying to fit together, won’t doing as they were told. I’ve said it once before, and I’ll happily say it again – I would make a diabolical detective! I thought this book was bloomin’ clever, highly gripping and left me wanting to lose myself in yet another Mari Hannah novel. I adore this authors unique and complex writing style – she always has me on the edge of my seat with every book I read. I highly recommend ‘The Scandal’ as it really is such a detailed, gripping, and very clever piece of writing – especially as Frankie’s fiery personality had its own pedestal throughout the novel! I’ll be honest, i wasn’t sure what to expect with this novel and, as weird as this sounds, i hadn’t really sat and thought about gender in a complex manner before. I mean, i know what gender is, obviously, but i hadn’t paid too much attention to the differences in society. I’m not saying i havent’t done that because of ignorance on my part, it’s simply because i haven’t had the need to. Until now. ‘Louis & Louise’ highlights the differences in how society sees gender, as well as how the two genders are potrayed socially in groups. 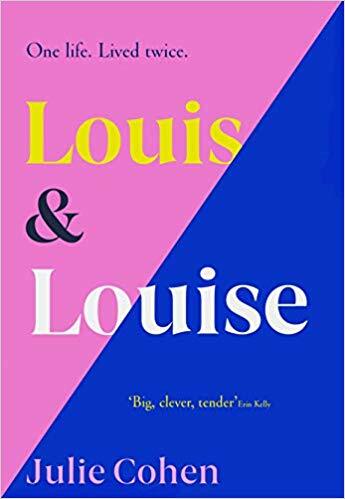 Not only that, this book highlights how Louis and Louise’s individual actions affect those around them from a physical and emotional point of view. Julie Cohen has constructed her novel in an incredibly clever way which makes her readers think without even being aware. This story is about the same life being told twice – how does Louis’ life differ from Louise’s? Most importantly, WHY should it differ? Surely both genders should be able to do the same things with prejudice, like playing football, watching romantic comedies, to name a couple of examples.Why should people assume that just because someone is a girl, that they shouldn’t play football and should only wear pink? And why should males be told that they need to be ‘macho’ and not show emotion, purely because of their gender? ‘Louis & Louise’ is such a one of a kind, powerful read which has been written with intense emotion and dry humour. Like i’ve already said, I really didn’t know what to expect but i am bowled over by just how magical and thought provoking this novel was to read. I may not have had any expectations beforehand but, thanks to Julie Cohen’s iconic novel, this novel is definitely going to stay with me for a long time to come. Insightful, eye-opening, emotional and beautifully written, ‘Louis & Louise’ has put itself on the map in a variety of ways. I really did enjoy this!! Where do I even begin?! There’s a killer on the loose. The thing is, the police know WHO he is….ish, but they have no idea where he is or how they keep missing him. One minute he’s in the vicinity they want, and then the next he has disappeared into thin air. Will DS Alice Parr, and the rest of the team, finally get their hands on their man? I really wasn’t sure of this book to begin with as I felt like I had just walked into the middle of someone else’s thoughts, missing the vital first half. Should I have been aware of anything before I began reading? It felt like it, but I don’t think so…now anyway. The thing is, ‘To Catch A Killer’ is hugely psychologically based, and the fact that readers are deeply rooted into Alice Parr’s brain throughout the duration of the blog, makes the storyline one of the most complex and intense books I think I have ever read. I’m not complaining at all – it just took a little bit of getting used to. Once I was a little more familiar with Parr’s train of thought, I was able to sink my teeth further into the storyline and get stuck into the nitty-gritty. By golly there were a lot of them!! I had never picked up an Emma Kavanagh novel before now, so I really had no idea what to expect in terms of the writing style or the way in which the author approached certain things. Now, having read ‘To Catch A Killer’, I can guarantee that it will not be the only book I delve into from this author. The storyline was fast paced and highly complex in both a confusing, and suspenseful way. It just goes to show that over thinking is the devil, and that sometimes things are, more often than not, stuck under your very nose, with the realisation hitting far too late. DS Parr is one intriguing character, I have to admit. Her approach to work is rather interesting, although it’s clear that she struggles to keep the emotional aspect away from her job. I can’t blame her really, although in that line of work, if you became emotional during every single case, you’d end up being off work with stress. All in all I thought ‘To Catch A Killer’ was a psychological work of art, and the way Kavanagh thought outside of the box with her dynamic and multi-layered storyline was pretty outstanding. This book kept me guessing until the very last page and had me gasping in shock at the truth. That said, whilst the truth is revealed to an extent, the storyline does end on an Eastenders dun dun dun….moment, so be prepared to be slightly frustrated! For me, this is what a thriller should be all about. Okay, yes, I was confused at times, but the fact I couldn’t put the book down just goes to show that the storyline held me hostage and, as weird as this sounds, I would quite happily be held hostage by Emma Kavanagh again! Wow! How on Earth are we at the end of 2018 already? This has been an exceptional year for books and, although that is obviously excellent to hear, it has made my job of narrowing my favourite reads down, MUCH harder! Usually I would bung it all in one post, however, I felt that this year I would do something different and put my favourite festive reads in one post. I adored all three of the above books, each ticking off various different boxes in their own right. Now, there were three other festive reads which blew me away as well, and seeing as I cannot choose just ONE as my absolute favourite Christmas book of 2018, I’m being greedy and choosing all three. Have you read any of the Christmas books mentioned? If so, what did you think? If you haven’t, these books can be read any time of the year, they are just brilliant! 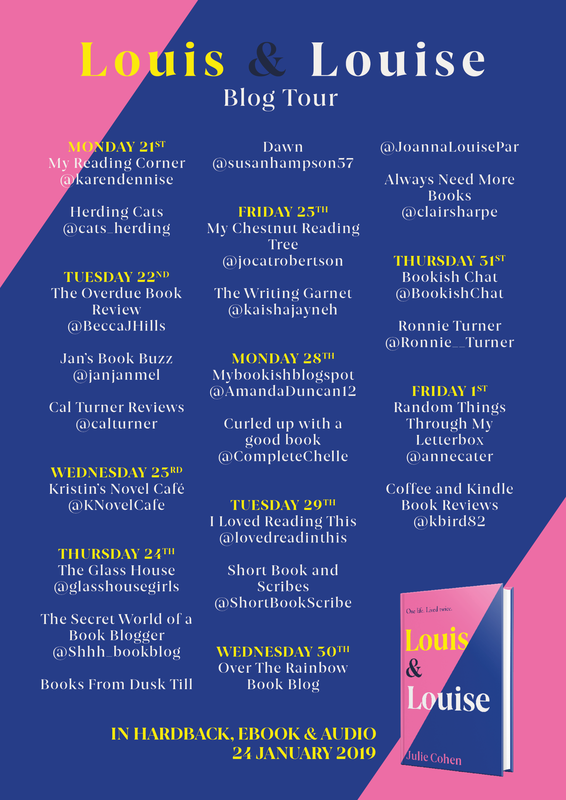 Thank you to the authors for writing such fabulous reads, and thank you to the publishers/publicists and blog tour organisers for allowing me to read them! Kate Thompson used to love Christmas. But that was before her husband went away with the army and didn’t come home. Now she can hardly stand the festive season. But Kate knows there is more to life than this, and her son Jack needs a Christmas to remember. What she needs is a Christmas miracle, and if there isn’t one on its way, she’ll just have to make her own. So begins Kate’s advent countdown to the best Christmas ever. She has it all planned out, but you can’t plan for the unexpected, and when her life starts to unravel can her friends and the community around her help her save Christmas for all of them…? ‘What is your Christmas wish this year?’ – when I saw that question on the back of a postcard, I racked my brain trying to think of something dazzling, when in fact my ACTUAL Christmas wish seemed a bit selfish as I would love my body to be pain free on Christmas Day. If only. I asked my 5 year old the same question and her answer was ‘to actually meet Father Christmas’. I know – why do kids have the best answers to everything? So, with Christmas on my mind, meeting a main character who would like nothing more than to go to sleep on Christmas Eve and wake up on the 26th, was definitely a wake up call. Why did Kate dislike Christmas? She sold Christmas trees for a living (well, kinda). In hindsight, maybe that’s why she wasn’t exactly feeling jovial. Of course the real reason comes out eventually and my goodness I felt like I was winded. How on earth must Kate and her little boy, Jack, feel? Not only that, the other main character in the book, Daniel, was trying to keep is head above water on an emotional level, as he tried to find his new purpose in life after losing his reason to live so to speak. With my heartstrings being tugged on with some great force from the get go, I had absolutely no idea how I was going to get through the rest of the book. I’m not complaining at all, don’t get me wrong! The author was very generous with her writing as this storyline was certainly one that just kept on giving! It was as though I was opening my own little advent calendar every time I turned the page!! I’m trying very hard not to spill any spoilers in my review, and yes it’s bloody difficult as all I want to do is shout about the storyline. Especially little Jacks situation. All I will say on that front is that I am sure a lot of readers will be able to relate to the unfortunate situation the poor boy and Kate got put in. It was tough to read and just like Kate, my ‘mama bear’ instinct came out, even though he wasn’t my child nor real. I thought that Poppy Alexander was brilliant in writing that particular theme into her storyline in a way that is going to shock people. I did feel for Kate big time – would that woman ever catch a break? I wanted to give her a big cuddle and help her, but alas I couldn’t. I adored the festivities throughout the story as they helped to highlight the fact that everyone celebrates Christmas in their own ways, and that the meaning of Christmas is different with every person you ask. Not everyone has money to spend on gifts at Christmas, yet they create memories in other ways and, on the other hand, some people can afford to splash out at Christmas – either way, as long as the important people in your life are happy, why should anyone judge someone else on how much or how little they spend, who they spend it with, or whether they actually celebrate the day or not? As the book neared the end, a massive lump formed in my throat because it really was magical book to read. I tried my best not to cry but I was so overcome with emotion for Daniel, Kate, Jack, and Noel, the tears just kept on falling. ’25 Days til Christmas’ is a beautiful, beautiful story which had my heart under its Christmas tree from the very beginning. I loved how every little detail in the book was an important part of the storyline. I loved being a part of the magic and the incredible hidden messages throughout. I loved being able to laugh one minute, turn into a lion the next minute, and then bawl like a baby the next. I have been on a journey with ’25 Days til Christmas’ and I absolutely LOVED every single moment of it. Honestly, wow – this is the creme de la creme of Christmas books and definitely one of my top books of the year. I don’t think I can find enough adjectives to describe how much I adored this book, so I urge you all to grab yourself a copy now and just trust me when I say that this is a definite must read. Wholeheartedly one of the best books I think I have ever read, ’25 Days til Christmas’ puts the jingle back in ‘Jingle Bells’ and will light up more hearts than the lights on the Christmas tree in NYC. Stunning!!!! Charlie hates the holidays, and this year is shaping up to be her worst yuletide ever. Her boyfriend has left her for his personal trainer, her flat is out of bounds after a gas leak, and her mother has gone to spend Christmas in Melbourne with her fifth husband. Finding herself single, mildly concussed and temporarily homeless, Charlie hesitantly agrees to dust off her wellies and spend the festive season in Devon, looking after Cosy Canine Cottages, her cousin Jez’s dog-care centre. Omg this book had me in hysterics!!! A non-dog lover ends up looking after a very pregnant pooch, a deaf Great Dane, several other dogs and a couple of other animals – what could possibly go wrong!!! First of all, if you aren’t a fan of dogs, why would you offer to care for more than one of them? Nothing like throwing yourself in the deep end!! I don’t mean this to sound deafest (is that even a word?! ), but I struggled to imagine a dead Great Dane. Maybe it’s because they are such massive dogs, I don’t know, but this one was certainly a sweetheart that’s for sure! I was a little unsure of Charlie at first. I know she had a bit of a rubbish start to the festive season, but the way she came across sometimes was a little bit irritating and, as mean as this sounds, I was rather happy to see the vet give her a taste of her own medicine. Pardon the pun. I’m not saying that she deserved to be treated like rubbish, because nobody really does (welllllllllll), I just found her to be a little bit selfish. Well, selfish and hilarious! What a combination! She irritated me sometimes yet had me laughing like a seal on helium! How is that even possible?! Don’t worry though, my opinion of her changed big time by the end of the book, going from finding her irritating to finding her a bundle of energy. ‘Not Just For Christmas’ is full of such vibrant and colourful characters, and yes, the animals are included! I loved how fun the storyline was yet it also had a hint of serious topics throughout, highlighting the important fact that animals aren’t just for Christmas as well as several other relatable themes. Natalie Cox has such an addictive writing style which is not only humorous, it’s also heartfelt. I thoroughly enjoyed ‘Not Just For Christmas’ and I just adored meeting Malcolm – what a gentle giant he is! A flirty, fun, and fabulous read – the perfect escape! I am so very sorry for the delay in getting this blog post up. It was meant to be part of the blog tour but for the last two weeks I have had, and still have, issues with my internet. I’m trying to clear the backlog of blog tour posts as quickly as I can, so do bear with me. However, I am delighted to be sharing my review (finally) of Daisy McNally’s, ‘I See Through You’. Many thanks to Alainna Georgiou from Orion Books for the blog tour invite and ARC. It started with a lie . . .
Skye has finally met someone she can trust. A holiday romance, of all things. But you know when something real comes along, when it’s meant to be. Don’t you? A week after returning home, and Johnny has disappeared. He hasn’t called or returned her messages. Then, with the easiest of lies, Skye finds a way back in to Johnny’s life – and to the people in it. When she makes an unlikely friend, they realise that Johnny is telling lies of his own. So will the two women find a way to bring him down – or each other? It ended with the truth. What a marmite book! I don’t mean that rudely at all, especially seeing as I am a huge fan of marmite, however, I really did struggle to get into this book at the beginning as I couldn’t make head nor tail of what exactly Skye was trying to achieve. Not only that, I couldn’t work out what her fixation was with Johnny! Granted I haven’t exactly had a holiday romance myself so I am unsure of the protocol where such things are concerned, but aren’t holiday romances just that? Anyway, after I told my brain to broaden it’s horizon’s and read the rest of the storyline with an open mind, I was pleasantly surprised to find that for a book I wasn’t struck on to start with, ended up being one that I was highly addicted to. Funny how things change isn’t it? Skye is very manipulative yet has the vibe of someone who has their heart in the right place. Weird putting the two together I know, but that’s just how it was. Her heart had been trodden on and she had been let down – I can see why she had the mindset that she did where Johnny was concerned…to a point. What shocked me was the psychologically damaging vibe she had as thought she was intent on ruining his life in revenge. Was she throwing her teddy out of the pram because a man didn’t respond to her after their holiday fling? Or was Johnny in the wrong for leading her on and involving her in a twisted set up? Reader, I have to say that I am on the fence – I can’t answer those questions despite having read the book myself. Usually having unanswered questions at the end of a book annoys me, but the whole addictive personalities of the characters, the intricate psychological elements, as well as the ‘did she or didn’t she?’/’did he or didn’t he?’, kept me enthralled and had me hooked line and sinker. Daisy McNally is a unique story teller, I’ll give her that, but wow she doesn’t half make it work in her favour!! I didn’t see through the characters in this book but I fell in love with the authors detailed and twisted storytelling, that’s for sure! Especially Lizzy Kingham. But this year, she is feeling unloved and underappreciated by her family. The present-buying, decorating and food shopping have all been left to her. So she wonders … what would happen if she ran away and left them to it? If you’re already a fan of Veronica Henry’s novels, you’ll be aware of her previous novels involving a beach hut. Whilst this latest addition to the beach hut family is indeed a relation, you do not need to read the previous books, ‘The Beach Hut’ and ‘The Beach Hut Next Door’ before tucking into this festive delight. That said, I wouldn’t blame you if you wanted to read the books in order or just because, as I have never read a book by this author that I didn’t like. Anyway, back to Christmas. I know, can you believe it’s nearly upon us? Lizzie can’t, what with being made redundant several days before the big day itself, AND getting a last-minute glitter bomb being dumped on her well thought out Christmas plan. I mean come on, don’t people realise that Christmas Day takes 364 days of planning? Every year, Lizzie loves to decorate the Christmas tree with her family, tucking into a piping hot meal and twerking to ‘The Snowman’ (maybe that’s just me…), but this year things don’t quite go to plan. Maybe Lizzie is asking for too much by wanting all of her family to get involved in the family tradition. Maybe her family are looking through their rose-tinted glasses and expect Christmas to fall down the chimney like Saint Nick himself. I don’t know. Either way, Lizzie is a bit miffed and she’s had enough. Lizzie has some baubles, I’ll give her that! How many women would drop things for Christmas just like that? Actually don’t answer that!! Not only is Lizzie’s Christmas not going to plan, her new-found friends Harley, Leanne, and Jack, aren’t exactly feeling the Christmas spirit either. I won’t delve into the nitty gritty details, but lets just say that there are a few touching stories coming out of the mouths of the other characters. Even though all of the characters have descended on the beach hut to get away from a traditional Christmas, I couldn’t help but feel the Christmas cheer from where I was sitting. Isn’t that what it’s all about; eating good food, being surrounded by friends and family old and new? If so, Lizzie and her new crew ticked every single box! Whilst I couldn’t imagine not being at home for Christmas Day myself, I felt a slight pang of jealousy. Everything just seemed to care free, relaxing and how it should be. I thought the way in which Veronica Henry incorporated feelings of depression and anxiety into her storyline was brilliantly done, and something a lot of people will be able to relate with whether its due to Christmas, menopause, or something else in their lives. As someone who suffers with depression and anxiety myself due to chronic illnesses, I welcomed the topic as it highlighted just how much stigma shouldn’t be attached to it, as well as showing that even though someone is sitting there with a massive smile on their face or getting on with things like usual, it doesn’t always mean that everything is hunky dory. Don’t get me wrong, it’s not up to their loved ones to notice a change in their behaviour, however, it certainly makes a difference if people just stopped to take a moment to think about someone other than themselves as people with depression or anxiety will not go and ask for support. ‘Christmas at the Beach Hut’ is a story that is not only laced with poignancy and rawness due to the topics it highlights via Lizzie and other characters, it’s also a story that is laced with oodles of festive cheer and warmth. Put it this way, if this book came with an additional festive treat, I would be shouting loudly for a tinsel blanket (only softer). Why? Because ‘Christmas at the Beach Hut’ is sparkly, one of a kind, cosy, and incredibly touching. A novel which glistens from every direction and fills hearts with joy every time it’s looked at. I absolutely loved every inch of ‘Christmas at the Beach Hut’ and, having already read double figures worth of Christmas novels so far, I have to say that Veronica Henry’s novel is my favourite Christmas book of 2018. The warmth, the community spirit, the festivities, the heart-warming topics, the wonderful characters – just everything. I loved it all. A perfect, perfect read this Christmas and for the other 364 days of the year – outstanding! ‘Christmas at the Beach Hut’ will be published on the 15th November but can be pre-ordered now from Amazon – I urge you all to pre-order or put it on your Christmas lists! !